Following widespread reports that Kizz Daniel sacked his manager, Oluwatumininu Lawrence; barely two weeks after Davido allegedly slapped and physically assaulted him at his ‘City of David’ concert on December 27th, many have questioned the rationale behind the sudden change in management. 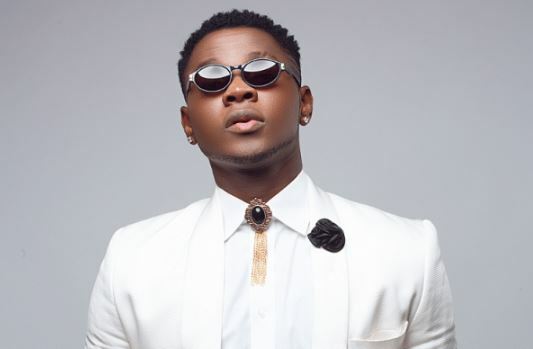 While speculations that the altercation between Davido, his aides and Tumi Lawrence at Eko Hotel may have been the reason behind Kizz Daniel’s decision to dump Tumi for a new manager, a reliable source in Kizz’s camp who spoke to Potpourri on anonymous grounds has come out to clear the air on the matter. According to the source, Kizz Daniel did not sack Tumi, he willingly quit his job as Kizz’s manager. “The reports gone viral online that Kizz Daniel fired his manager, Tumi Lawrence, is false. How could he have sacked him; Kizz cannot even come out to say that he sacked Tumi because he willingly resigned as Kizz’s manager. The new lady parading herself as Kizz’s new manager was actually brought in by Tumi to handle publishing; but she began usurping everything. Then Kizz decided that she becomes his new manager while Tumi will still be handling bookings which didn’t go down well with him. eventually decided to quit because he couldn’t take it. He felt cheated, slighted and disrespected, so he voluntarily resigned”, the source said. In a chat with Potpourri, another close associate of the ‘Woju’ singer who pleaded anonymity accused him of being obsessed with gaining international recognition, which is why he let Tumi off the hook when he decided to quit. “I really don’t understand Kizz anymore, but I think he is obsessed with the need to gain international recognition, if not, why would you just bring someone else on the team when you still have a substantive manager who has done everything to promote your brand beyond imagination? And trust me; Kizz would not say anything about all this because that’s his style. Have you wondered why he hasn’t personally said anything about all this since? He knows what he is doing.” However, Kizz Daniel has remained radio silent on the matter, but his new management, led by one Rebecca Junaid has released an official statement stating that Flyboi INC and Kizz Daniel are now under a new management, with one Ogaga Sakpaide as the new public relations personnel.